Published Mar 29, 2018; last updated Apr 3, 2019. As a small business owner, do you ever feel like you’re drowning in a sea of business buzzwords? If so, don’t worry — there won’t be any mention of “synergy” here. Instead, let’s talk about lead management and opportunity management. Although they may sound like trendy buzzwords, they’re actually critical functions for every small business. Not sure what the difference is? Keep reading to learn more. First things first — what are leads and opportunities? Take note — there are different schools of thought about what defines a lead versus an opportunity. Some sources describe a lead as a contact you don’t know much about, and they become an opportunity once they express interest in buying from you. However, this metamorphosis mindset can be confusing. That’s why Method:CRM makes it simpler for you to manage both leads and opportunities. A lead is a potential customer whose contact information you’ve acquired. The lead may be an individual or a company, depending on your business. But don’t worry about cluttering up your QuickBooks file with potential customers who may or may not convert. As a QuickBooks CRM, Method makes it easy to track leads outside of QuickBooks until they become paying customers. An opportunity is a source of potential revenue for your business. To put it another way, it’s an opportunity for you to sell your product or service to someone. Since sales opportunities aren’t the same as sales transactions, opportunities exist solely in the CRM, outside of QuickBooks. Not surprisingly, leads and opportunities are closely related. For example, say a marketing consultant is approached by a retail store that needs help with their social media strategy. The consultant now has a new lead (the store) and a new opportunity (to consult on social media strategy). Method:CRM users: Stay organized while speaking to multiple people at the same company by adding new contacts to an existing lead. Simplify your lead and opportunity management. There are countless ways of acquiring new leads — a few examples include networking at events, getting referrals from existing customers, and adding a form to your website. The key is to get the lead’s contact information into your CRM so you can follow up with them. Depending on how you generate leads, you may acquire sales opportunities simultaneously, or the opportunities may arise later. If you purchase a list of leads, you won’t know initially if they are interested in your product or service. You’ll have to reach out to each one to determine if an opportunity exists. In contrast, when you use Method:CRM’s web to lead form on your website, each submission will automatically create a new lead and a new opportunity. Method:CRM users: Click “Setup” on your Web to Lead app to change the Method user that new web leads are assigned to by default. What’s the difference between lead management and opportunity management? Lead management is the process of qualifying, tracking, and engaging with your potential customers. Using a consistent qualification methodology (such as BANT) helps you identify which leads are most likely to buy, so you can prioritize those follow-ups and reduce the length of your sales cycle. Method:CRM lets you rate leads as hot, warm, or cold, making it easy to filter for the most promising prospects. The rationale for opportunity management (also known as pipeline management) is similar. Ideally, you want to focus your energy on the highest-value deals that are most likely to go through. This is accomplished by assigning opportunity stages in Method:CRM. Each stage, from “Prospecting” to “Negotiation”, has an assigned probability percentage that indicates how close you are to closing the deal and shows you the potential revenue in your pipeline. 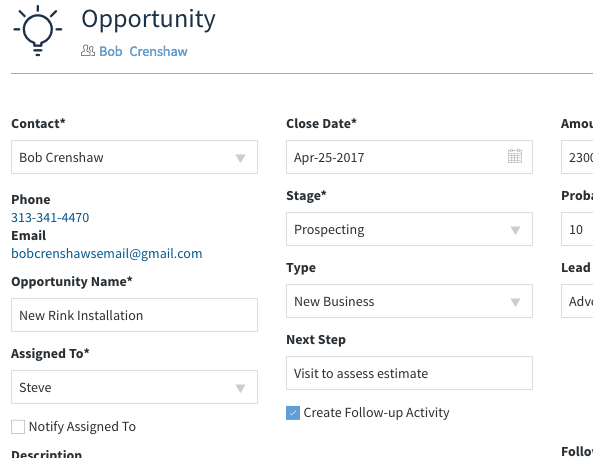 Method:CRM users: Tailor the opportunity management process for your industry by creating your own custom opportunity stages. Who should care about lead management and opportunity management? Lead management is of great interest to both marketing and sales professionals. Your marketing team wants to know who your leads are and where they came from, so they can design effective email campaigns and invest in marketing efforts with high ROI. Meanwhile, your sales team needs to link those leads to opportunity management so they can identify potential sales, build relationships, and generate revenue. The prospect of revenue also makes opportunities in the pipeline very important to sales managers, as they use pipeline management data to forecast future performance. Of course, some small business owners wear all of these hats — in which case, all of the above is relevant! 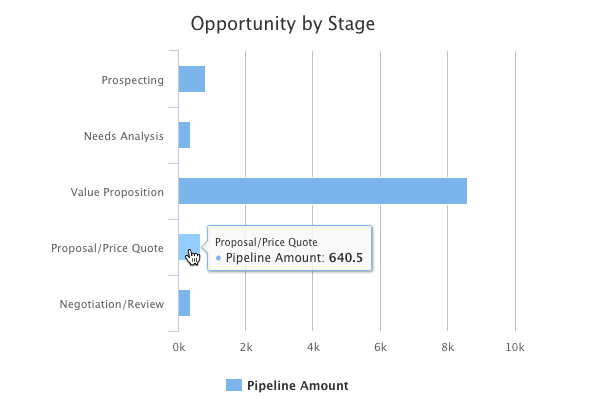 Method:CRM users: Check out the “Opportunity by Stage by Close Date” chart for a visual overview of how opportunities are distributed across different stages in your pipeline. What happens to leads and opportunities after you close a deal? A lead starts off as a potential customer, but once you close a deal they become a full-fledged paying customer. Converting the lead to a customer in Method:CRM is as easy as unchecking a box. The newly converted customer will automatically sync over to your QuickBooks file, along with their contact and billing information. 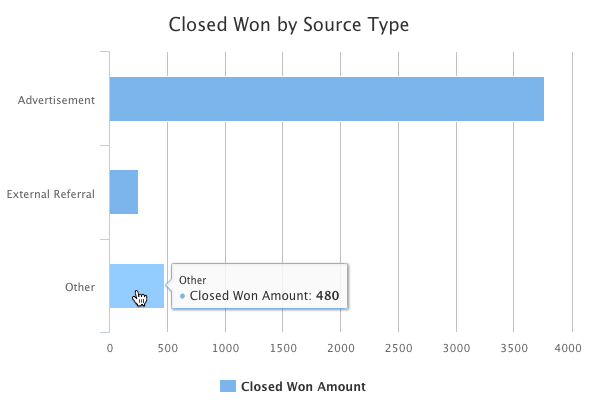 When you close a deal, the best practice is to update the stage of the opportunity to “Closed Won”. Closed won sales opportunities will remain in the CRM and will not sync to QuickBooks. They will no longer appear in your sales pipeline, but they will appear in the won charts section of your Opportunities app and you can refer back to them anytime. Method:CRM users: If you created an estimate for your lead, save time by converting the estimate into an invoice. Creating an invoice for a lead will also automatically convert the lead to a customer! Sign up for a free 30-day trial of Method:CRM, the most powerful sales management software for QuickBooks.